You can now add your friends from college or your family members to your Project Fi plan, as Google has finally introduced plans for groups. With Project Fi’s group plan, users can now have up to six people on one plan. Users can add new members to the group for $15/month (roughly Rs. 1,000) per line to get Fi Basics, which includes unlimited calls and texts. Just like the company’s individual plans, users will have to only pay for the data that they use at a price of $10/GB (roughly Rs. 670). The amount of data left unused will be credited back to the users in dollars and cents, the company said in its blog. 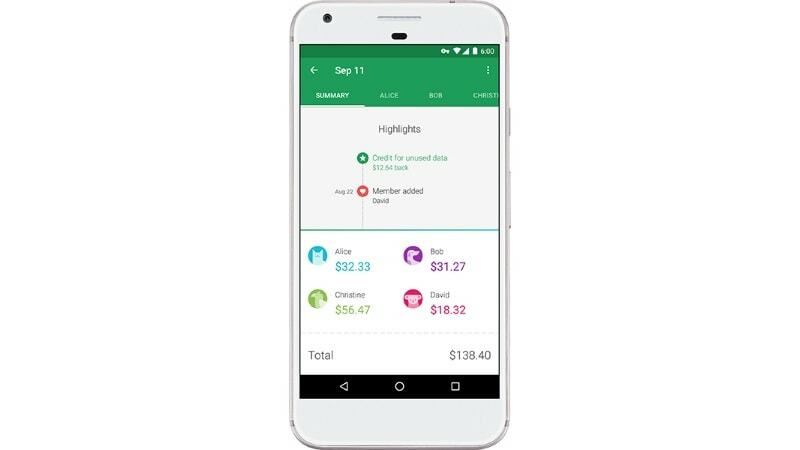 The company clarifies that “Members can easily join and leave a plan as they please without having to worry about fees.” The plan owners and users will both be able to keep a track of their data usage from the Project Fi app by Google and managers will also be allowed to see the usage per member. Further, both group members and managers can set notifications from the app to keep a check on the data that is being used. To get users started with Project Fi’s group plans, the Nexus 5X and Nexus 6P smartphones are being offered with discounts of $150 (roughly Rs. 10,000) and $100 (roughly Rs. 6,700) respectively, when they buy and activate through Project Fi. Users can create the groups from their Fi account page.